Today is my last day as a guest designer for the Skipping Stones Design stamp company :( and I have loved being part of this sweet group of amazingly talented ladies this month! Thank you Heather and DT! 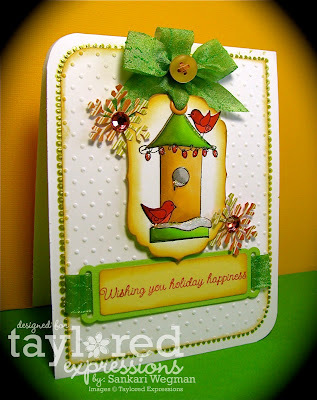 This last sketch is from Jami Bova and I loved the three square element of the sketch and thought to use this beautiful stamp set called Healing Wings by Skipping Stones Design . It is always hard to make sympathy cards for me - but this set has beautiful sentiments and images that makes that card making process easier. 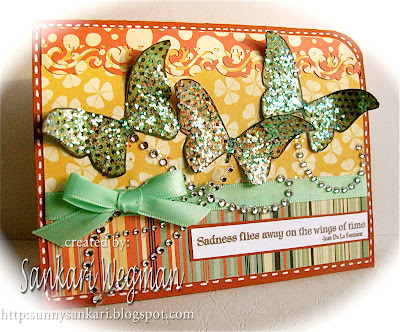 I love the three different butterfly images in this set and the sentiments that are in this set are simply beautiful - so sweet and encouraging. If you haven't already checked out Skipping Stones Design - please hop on by! Heather's stamps are so full of humor, sweetness and I am sure they will make you smile! Thank you so much for stopping by today! I hope your day is full of happiness!!! Sending each of you sunshiney wishes! I have been having internet problems this weekend - and I am so glad that it is finally up and working (although it was nice to drive to the coffeeshop and use the WiFi and have a latte). As much as I love technology, I also can't believe how dependent I have become on it - which becomes very apparent when it doesn't work! Ack! But, I am thankful that its back and today there is some exciting things going on! 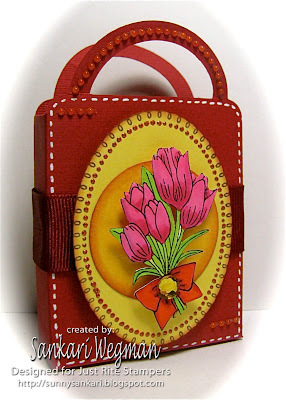 Today the Supernovas over at PaperCraft Planet are having a blog hop for one of our favorite products: Spellbinders!!! yipee!! 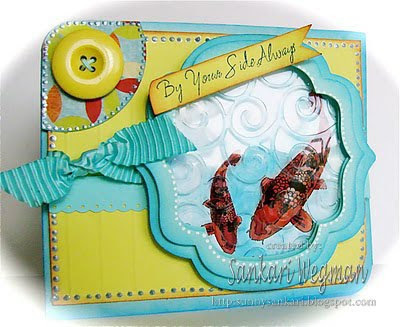 We are showing off the new summer dies (yay! bring on the summer weather!) and hop along with us and you could end up winning one of the new sets!!! We have hidden FIVE prizes among the Supernova blogs, but no one knows which one! So go ahead leave a comment for a chance to win! Blog comments will close on Wednesday at 6pm EST. 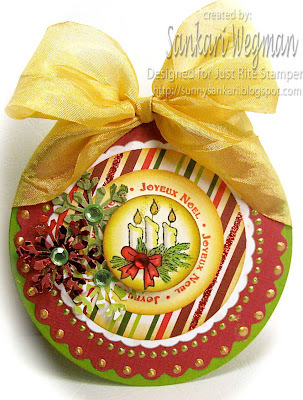 Today is Friday and that means there is another challenge from the Christmas Stampin' All Year Long blog where this week's challenge is to have fun with embossing (heat embossing, light embossing, embossing folders, faux embossing, etc.) As much as I love getting the glittery embossing powder all in my hair and forehead for the whole day, I went with the embossing folder for today's card creation. I seriously love being part of this awesome group - its been fun to create a little bit of the holidays all year long (and that way, I get to use up my papers so that I can buy more papers without feeling any guilt :))))) Check out all of the embossed beauties over at the Christmas Stampin' All Year Long blog and we hope that you will play along with us!!! Today, half of the Baker's Dozen and I are showing projects created with these awesome craft metal sheets that come in aluminum and copper (they come in 8 sheets that are 4" x 4" - which is a ton of metal yumminess for an awesome value!) I have to say that I love these craft metal sheets! 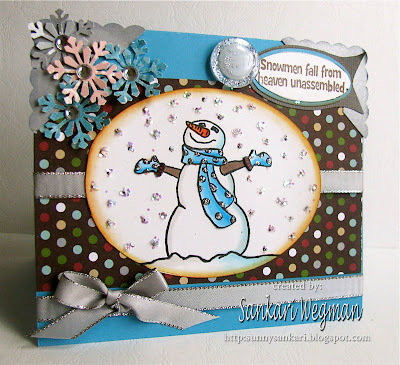 It is such a fun way to add some texture and uniqueness to your card. They are very thin, which allows you to emboss on them, cut them out and even bend them - all of which makes it very easy to use. 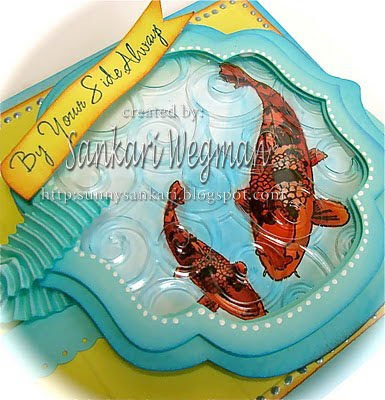 You can use them as a place to stamp the main image on or sentiment on, or you can also make it as a background for your card or even bend it to create a little embellishment for your card or scrapbook page. This is also a great product to have for making "man" cards :). 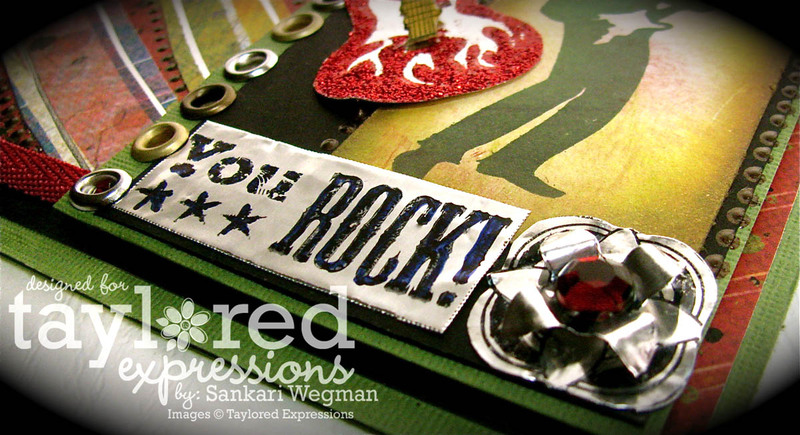 For this first card, I cut out the aluminum metal sheet with my nesties and then embossed it and used it as a background. 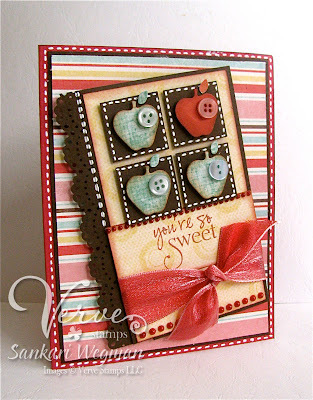 The ingredients in this card comes from the February Key Ingredients kit (you can click here to learn more about these wonderful kits). I used the sentiment "Your friendship is blessing to me" from the Branching Out stamp set to create this card for a very special person who inspires me every single day - she is such a sweet blessing in my life and I loved making this card because I was making it for her :) I kept the palette black and white with a pop of green and embossed the silver sheet to create a shiny swirly background for the yummy flower: For this next card, I used the stamp set: You're My Hero which is part of the Giving Tree program that Taylor has created, where every quarter a stamp set is released, with some of the proceeds going to benefit a different charity. This stamp set was released earlier this month and goes to benefit the CureSearch organization, which unites the world's largest childhood cancer research organization, the Children's Oncology Group and the National Childhood Cancer Foundation through their mission to cure childhood cancer. 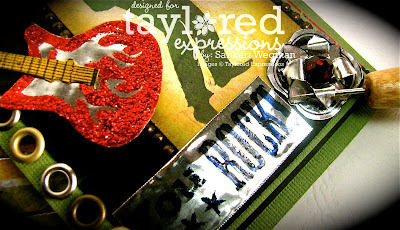 You can read more about the inspiration behind this stamp set here on Taylor's blog. 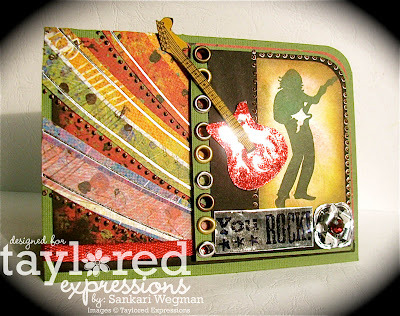 I had so much fun working with these awesome metal sheets! Can't wait to make more projects!!! 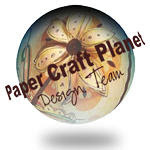 Please check out these amazing ladies who have created some amazing works of art with these awesome craft metal sheets! Also, from now through the 28th of March- these metal sheets will be on SALE! (they will be 15% off) over at the Taylored Expressions store) so if you haven't tried it out yet - now is a great time to check it out - or stock up on it!! 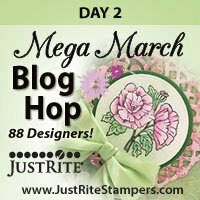 Today starts Day 2 of the JustRite Mega March Blog Hop - and seriously - it is WAY mega - not only are there 88 Designers participating in this 3 day blog hop extravaganza, but there are a TON and I mean a TOn of prizes that you could win! Each day there will be FIVE shopping sprees - and no one knows where the prizes will be! Each day will also hold FIVE Mystery Blog Candy Prizes with a total retail value of $600 (WOW!!). The five mystery blogs will be selected each day of the hop and randomly allocated to each of the shopping sprees - and for your chance to win: Simply leave a little love (a comment) on each of the designer's blog starting over at the JustRite blog!! Comments will remain open for three days and all the winners will be listed on the JustRite blog on Friday! If you missed all the yummy creations yesterday over at the JustRite Inspiration Blog, you can click here to see all of the Day 1 of the blog hop details! 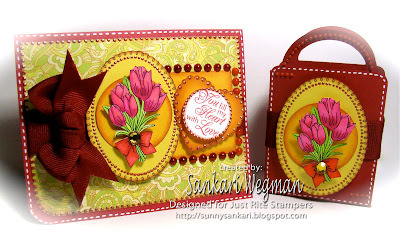 Here is picture of the card - I first stamped the flower images (twice - one for the card and one for the bag) and then colored them (or copic-fied them :) and then cut them out. I stamped the oval border and cut that out too. And then popped the flowers on the orange circle center with dimensionals and popped up the whole thing with dimensionals onto the card and bag. One of my favorite accessories are liquid pearls and I used it to decorate around the card and around the sentiments, ovals, hearts and circles in the card and on the bag. 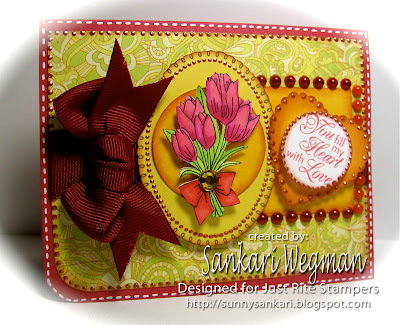 I love these beautiful flowers and I love the versatility of the way you can combine the borders centers and sentiments in all of the JustRite Stamps. Accessories: corner rounder, white gel pen, red grosgrain ribbon, Recollections bling, Adirondack dimensional pearls and circle punches. Have fun hopping! I know I am off to hop now too!!! Hope you had a great weekend! Our weekend ended up with me getting a little under the weather, which is not so good when the weather outside is starting to be so bright, beautiful and sunny - no fun at all! Accessories: scalloped square punch cut in half, snowflake punch from MS, ribbon from stash, glue dots, spellbinders, copics, sliver stickles, rhinestones from Want2Scrap and button from Summer buttons from Bag O'Buttons. 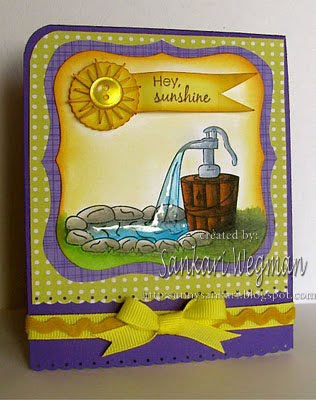 Please hop on over to the Skipping Stones Design blog and check out all the wonderful cards using this sketch! Heather who is the owner of Skipping Stones, designs such awesome sentiments that are both hilarious and beautiful for her gorgeous stamps! Cinema Saturday Creative Challenge #71 - 13 Going On 30! Every Saturday, my friend Brooke and I run the Cinema Saturday Creative Challenge where we pick a movie and then create a card inspired by it! 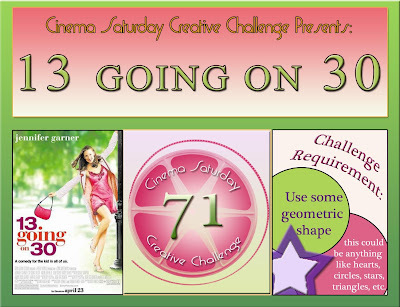 This week for our 71st challenge, we picked the movie: 13 Going on 30! starring Jennifer Garner :) I remember watching this movie in the theater when it came out and I loved watching it because I grew up in the 80's - so all of the references, music, and little "jokes" were something that I totally got. I had to sing along to Pat Benatar's Love is a Battlefiled song - wow did that bring back memories! One of my favorite parts of this movie was when she asked her mother if there was something that she wished she could do over again - like if she had made some mistake and wished she could re-do it. Her mother gave her such a beautiful answer I thought - which was that those moemnts give us an opportunity to figure out how to make things right. This movie I felt was about sometimes what we think we wish for might not always be what we really want and its about a chance to be true to ourselves. I hope you are having a lovely and wonderful start to your weekend! We got hit with an end of March snowfall - so I think its time for one last sledding outing that ends with some hot cocoa goodness! Thanks so much for visiting my blog today! 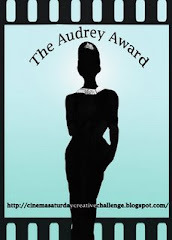 Stop by the Cinema Saturday Creative Challenge blog for more details and I hope you have a chance to play along!!!! Accessories: liquid pearls, corner rounder, may arts ribbon, spellbinders, cuttlebug embossing folder, snowflake punch from MS, rhinestones from Want2Scrap. 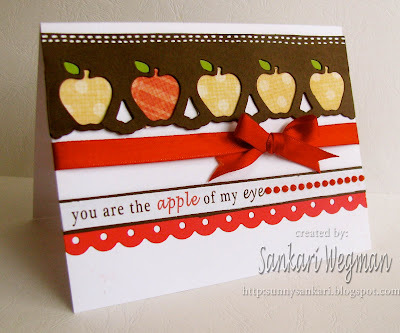 I loved using this sweet inspirational picture and am glad to add another card to the pile - yay :) If you have a chance to play along please check out all the details at the Christmas Stampin' All Year Long blog and see all the lovely cards for this week's challenge! Happy Friday! Thanks so much for stopping by today! It finally feels like Spring is here! And I have been spring cleaning - I can't believe how the change in weather can inspire me to clean (because really, that is not what I would rather do!) Yesterday when I was cleaning out my craft corner (which is stuffed to the gills right now!) 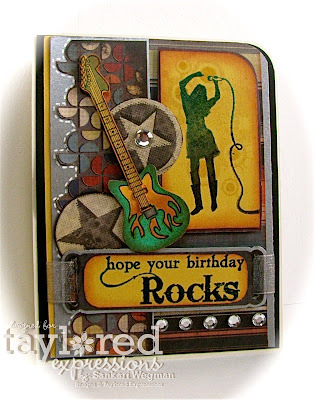 I came across this fun MVP paper from WRMemory Keepers and I immediately stopped cleaning and sat down to make a card :) I based this on Taylor's Sketch Challenge #104 and used the newly released You're My Hero stamp set to create this. I love using this set because part of the sales from this stamp set benefit the CureSearch which unites the world's largest childhood cancer research organization, the Children's Oncology Group and the National Childhood Cancer Foundation through their mission to cure childhood cancer. Our niece's birthday is next week and she loves American Idol and all things musical (dancing, singing, being in the school band, etc.) so this was the perfect stamp set for her birthday card - and the only thing that I hope is that it is "cool" enough for her :) - she is going to be 15! Yikes! Well, I am off to keep cleaning (yes, I can't believe I wrote that sentence myself!!!! LOL!) but first a cup of "energy" :) Hope your day is springalicious!!! Welcome to the Skipping Stones Design's Blog Hop to celebrate the release of two new Spring/Easter Inspired Sets. If you just happened upon my blog today, you'll want to go back to back to the beginning at Skipping Stones Design. 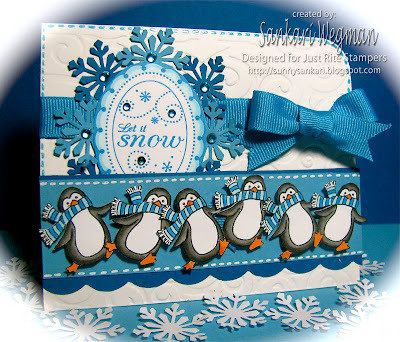 Combined with the blog hop today, its also Skipping Stones Sketch Tuesday which means the Design Team is showcasing another great creation from Jami Bova aka St.Stamper. 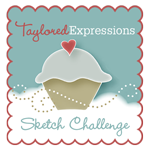 We'd love for you to play along with the sketch, just use the keyword SSD016 if you are uploading to any online galleries or link your card at the Skipping Stones Blog. 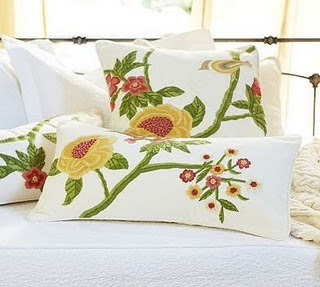 We'll be looking soon for Guest Designer's so you never know....! How about a prize today? In addition to the fabulous eye candy, our DT has blog candy up for grabs , so make sure to leave comments on every single post so you have a chance to win!!!! Your next stop is to Mary Giemza's beautiful blog! Its sneak peek time over at Gina K. and you might have seen a peek at some of the new sets that were peeked yesterday (so beautiful!) and today, we are showing you some more sneak peeks from the stamp sets: you seen all of the wonderful preview: Happy Spring stamp set and By Your Side stamp set by Aslea Hopkins. The stamp set that is part of the Card Kit this month is the Happy Spring stamp set! This month there is a change in the card kit where each kit will receive the Happy Spring stamp set and instruction sheet along with 4 sheets of pure luxury cardstock, 1 sheet of exclusive patterned paper with 4 different designs, 1 yard of ribbon and brads (the cardstock will not be precut). The card below uses the digi paper that will be available through GinaK. and I have to say that I love the fact that it is already measured to the A2 size - so all you have to do is print and cut :). Tonight, we are having a blog hop that is featuring creations from these two stamp sets and I know that these ladies are going to blow you away with their gorgeous creations!!! StampTV is celebrating it's first birthday and the festivities are in full swing with this month's release! We'll be holding this month's Release party on StampTV and couldn't be more excited about all that Gina has planned for everyone! The party kicks off this Thursday, March 18th starting at 7pm and ends at 10pm (CST) when all the new products will be available for purchase at the GinaK Designs Store! Good Morning Everyone!! Every Saturday over at the Cinema Saturday blog (ps - I can't believe this is our 70th challenge already!) Brooke and I pick a movie from which to create a card! 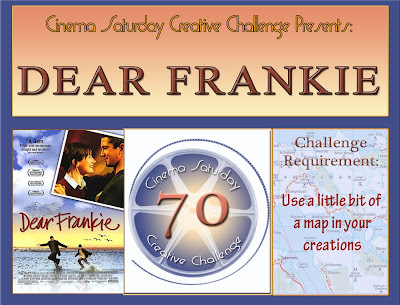 This week the movie that we picked is the little known gem: Dear Frankie! As much as we love the big blockbusters, we also love featuring movies that might not be that famous but are just amazing! If you haven't seen this movie - you MUST! It is just a gem of a movie! Seriously - this is one of the most heartwarming movies that we have both seen - you will fall in love with it! The challenge requirement for this movie is to use a little bit of a map is because that is how Frankie (the little boy) keeps track of his father's voyages. I can't express enough - how beautiful of a movie this is --- it is full of love stories (the love between a mother for her daughter, the fierce love of a mother for her child, the love that grows between two strangers and the love of a "father" for his son) - its just beautiful and I know you will love it! 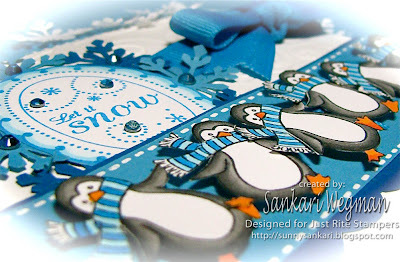 For my card today, I used the sketch that the beautiful Susanna Boyd has created for Paper Craft Planet (keyword SK031310) andd used the lovely color challenge (with the requirement for cloth) from the uber fab Embellish magazine. I loved how these colors came together and I love how Frankie kept a map and tried to find his dad in everything through all of his journeys in the letters that he received. 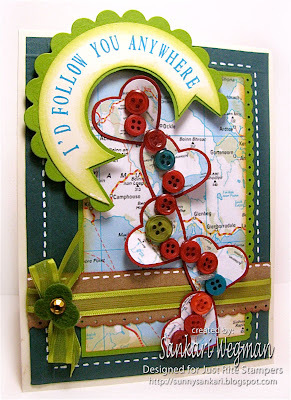 It was so sweet to see the way he tracked him and from that I came with the inspiration for this card of a trail of hearts over the Scottish seas (errr.... Lochs). Accessories: white gel pen, heart punch, buttons from Whirligig, MS heart punch, dimensionals, scorpal, spellbinders, kraft, ribbon from stash, felt accent. The bond that Frankie has with his "dad" and the way he observes things and puts things together is beyond sweet... he would follow him anywhere. The challenge from Embellish called for cloth - my "cloth requirement" is the felt accent over the ribbon. I absoulutely loved this movie and highly recommend it! 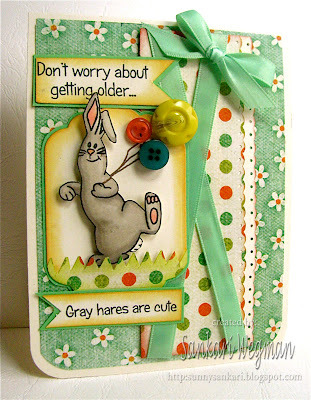 Hop on over to the Cinema Saturday Creative Challenge blog to find out more details! We would love for you to play along! I am so excited its Friday :) Yipee! Every Friday, at the Christmas Stamping All Year Long Blog, we have a different challenge to help get the holiday mojo lasting through the year, so that its not a mad dash of stressful cardmaking towards the end of the year :) This year, Patty has come up with a wonderful challenge: to create a card that is "out of the box" or basically to create a card that can be of any shape other than the regular A2 card that we all are used to. I had so much fun making this festive card - although I have to say that as the snow starts to melt and the weather starts to get warmer, I might have to put on some holiday music as I make my Friday holiday cards :) And on that note, I leave you with the song: "Dashing thru the snow, on a one horse open sleigh......."
Check out the lovely creations that the wonderful DT has created for this Shape Challenge! Verve Release Spring Fling Blog HOP!! !